1. Period : April 20(Wed.), 2016 ∼ April 26(Tue. ), 2016 2. Time Schedule A. General Required, Basic Required : Refer to the table below B. Major Course: Depends on Course Schedule 3. Lecture during Mid-term Exam Period A. No lecture for freshmen courses and basic required courses B. Major Courses(Undergraduate, Graduate) : Regular Schedule C. Please contact with your instructor if you have a time conflict between following schedule and major courses' exam. 4. Mid-Term Exam Schedule Date Course No. Course Sec. Time Bldg/Room April20 (Wed.) MATH110 Calculus .. Dormitory Fee Payment for Spring 2016 (April) Please refer to the following information and pay your dormitory fee during the designated payment period. ○ Payment Period: Mon, April 4 ~ Fri, April 8, 2016 ○ How to Make a Payment: Pay dormitory fee to your virtual account written on the bill. - The bill will be sent via e-mail on Wed, March 30. - Students can verify their payments on POVIS after 10 am on the next day of their payments. (POVIS / Work Area / Housing & Service Management / Dormitories...) ○ Payment Amount: Please refer to the information on POVIS - POVIS / Work A.. Faculty Position Announcement by Dept. of EE, POSTECH The Department of Electrical Engineering at Pohang University of Science and Technology (POSTECH) invites prospective applicants for tenure-track faculty positions in all fields of Electrical Engineering with emphasis on1) Emerging Semiconductor Devices & Materials, 2) Intelligent Robot, and 3) Applied Waves and Propagation. 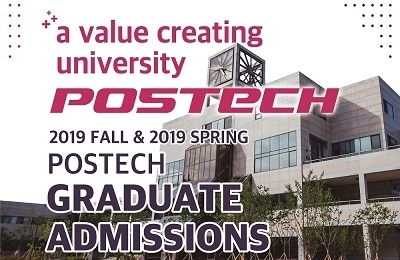 POSTECH, located in South Korea, is a highly prestigious university specializing in science and technology. 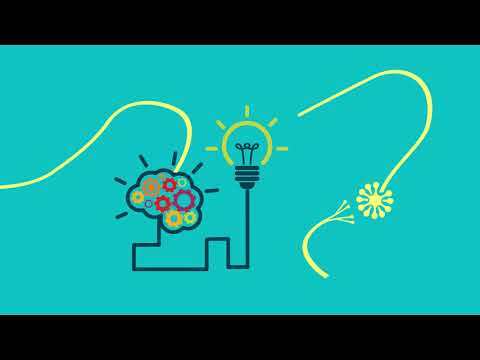 Applicants should have a Ph.D. degree in Electrical and Computer Engineering or in a related field,.. Input of Personal Information for New Graduate StudentPersonal information verification, input, and submitting photo for new graduate students will be made during the appointed period below. Thus, please check the personal information and submit the ID photo file on time. ■ Period: Wed.,Mar.2 - Tue.,Mar.8, 2016■ How to: Log on to POVIS, Academic Affairs / Student Information 1. Personal Information Verification and Input Requirements: General personal information, family information, bank account (where scholarship will be forwarded), address, etc. 2. To verify and file your person..
2016 POSLEC Spring Korean Class ◈ Registration Period: Mon, Feb 22, 2016 (9:00 am) – Thu, Feb 25, 2016 (6:00 pm) ◈ Payment period: Mon, Feb 22, 2016 (9:00 am) – Thu, Feb 25, 2016 (6:00 pm) Payment will not be accepted after this period. ◈ Duration of the session: Mon, Mar 14, 2016 – Tue, May 31, 2016 (for 12 weeks) ◈ Who are eligible to register? All POSTECH students (undergraduate/graduate), researchers, faculty, staff, and their family members (except elementary, middle and high school students), students who are on a leave of absence but are ..
2016 Matriculation Ceremony Schedule All POSTECH members are cordially invited to the Matriculation Ceremony for the 2016 academic year on Monday, February 29, 2016, as follows. 1. Schedule of Events: Monday, February 29, 2016 Event Time Venue Attendees Remarks Matriculation Ceremony 11:00 - 11:50 Auditorium - President, Executives and Foundation of POSTECH, Department Heads, Guests - Freshmen, Parents, Faculty, Staff, and Students 1,000 people Luncheon 12:00 - 13:00 POSCO Int’l Center (5th floor, Phoenix) - Guest..
POSTECH Commencement Ceremony for the 2015 Academic Year [Friday, February 19, 2016 (10:40 am), POSTECH Gymnasium] 1. Programs Commencement Ceremony Program Remarks Student Procession 10:20 - 10:35 (15) Marching order: Department flag bearers→ PhDs→ Masters→ Bachelors * Students should be seated at the appropriate section designated for each degree. - Emcee: Sung-jun Jung & Jung-eun Lim - POSTECH Orchestra Academic Procession 10:35 - 10:40 (5) Marching order: Mace→Faculty→Executives→ Gues..